Update: It was just announced recently that Santi will be closed from early March 2012. This was not a surprise development especially after the passing of Santi Santamaria as his family has decided to consolidate and concentrate on the restaurants in Spain instead. It is a great misfortune for the Singapore dining scene with the withdrawal of such a good restaurant and the standards it has set during its time here. 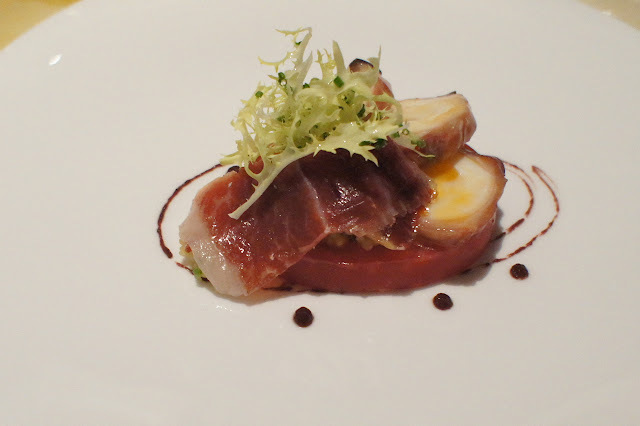 Santi is a fine dining Spanish restaurant located at the Marina Bay Sands in Singapore. This was our second visit to this restaurant (refer to earlier review: Santi - Jan 11), and in between these 2 visits, tragically, Chef Santi Santamaria passed away suddenly at the restaurant while speaking to reporters during the grand opening of the integrated resort and its celebrity restaurants. It was a great loss to the culinary world as Chef Santi was one of the top chefs especially in Spain, and was a strong proponent to classical cooking using natural ingredients, putting him in direct contrast with Ferran Adria and the molecular gastronomy movement. We hope that his legacy lives on with his children, his restaurants and the chefs who have trained under him. When we were there this time, we managed to secure a table in one of the alcoves overlooking the mall, which was private (only one table per alcove) and spacious. We were warmly welcomed by the Assistant Manager, Juan, who remembered our last visit and even what we had ordered then (they must have kept a record. Why don't other restaurants do this as well, especially since in this age of computers it is so easy to dig up details of customers' previous visits?). The service throughout was excellent, and we were treated very well by the restaurant staff who appeared genuinely pleased to see us come back. 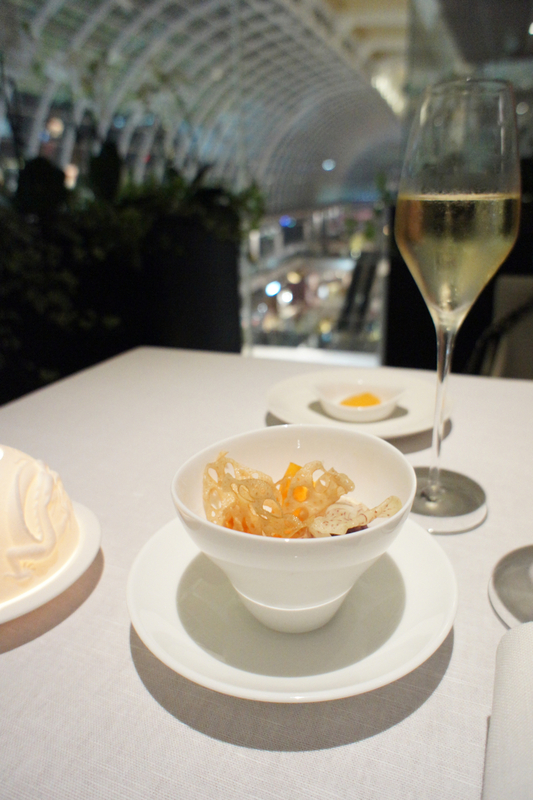 While we were looking through the menu, we had a glass of champagne each, as well as the addictive tapioca and lotus root chips and dip. The tasting menu was different from the one we previously tried except for the suckling pig and one of the desserts, both of which we really liked from the last time, so it made sense to go for this tasting menu again. From the rather impressive wine list, we picked out the 2005 Siepi from Castello di Fonterotoli, a lesser-known Supertuscan. 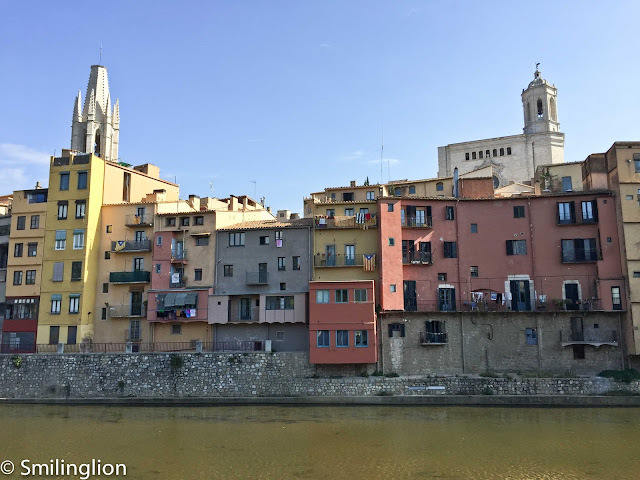 It was quite a find, and the sommelier was equally surprised that we knew of this wine (we once visited the vineyard and have a few cases of their top Chianti, the Castello, at home). As expected, it drank superbly. We started dinner with a very nice cold jerusalem artichoke soup with chunks of raw Hamachi (Japanese yellowtail fish), which was a good marriage between east and west. Next course was the octopus and momotaro tomato salad with cous cous and Joselito ham. This was excellent, with each of the Japanese tomato, the savoury Spanish ham and the succulent octopus contributing to the overall flavours and complementing each other well. 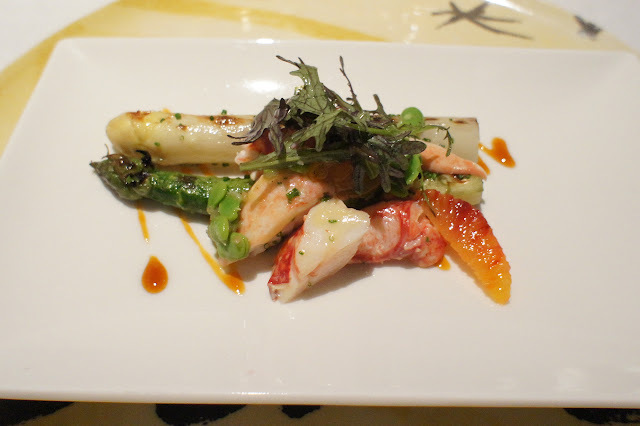 This was followed by the equally superb white and green asparagus with crustaceans and fava bean vinaigrette. Despite us never really understanding the hype about white asparagus, this was very well put together and thought out. 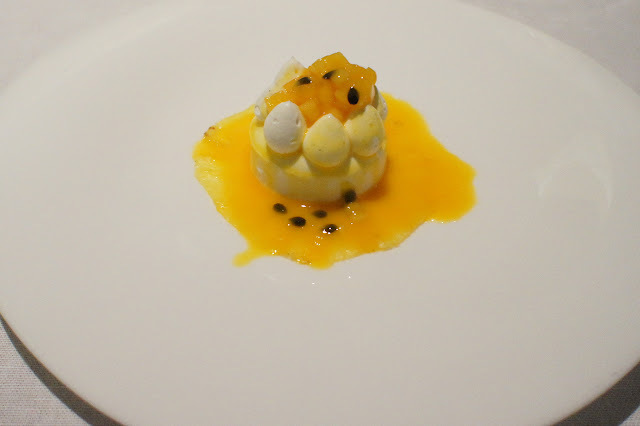 There was a cacophony of tastes released with one mouthful of this, brought out by the sourness of the vinaigrette, the sweetness of the poached orange, nuttiness from the fava beans and bitterness from the basil leaves. 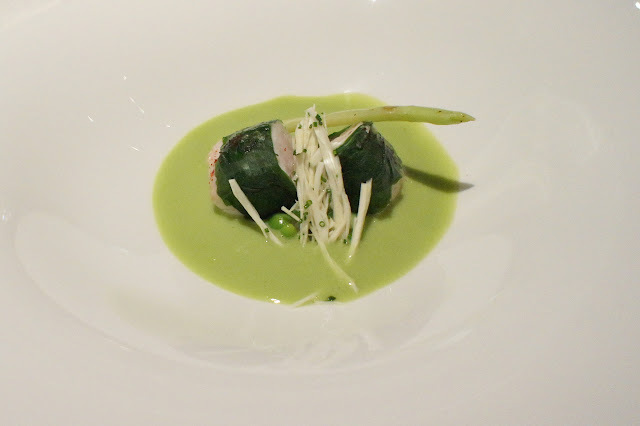 The chef continued to use fresh vegetables very well with the next dish: the petit pois cream soup with salt-seared "Alfonsino" fish and patatas al mortero (mortar potatoes), with shaved palm tree shoots from Bali. This was another delightful dish of perfectly matching flavours, with the fish cooked flawlessly. 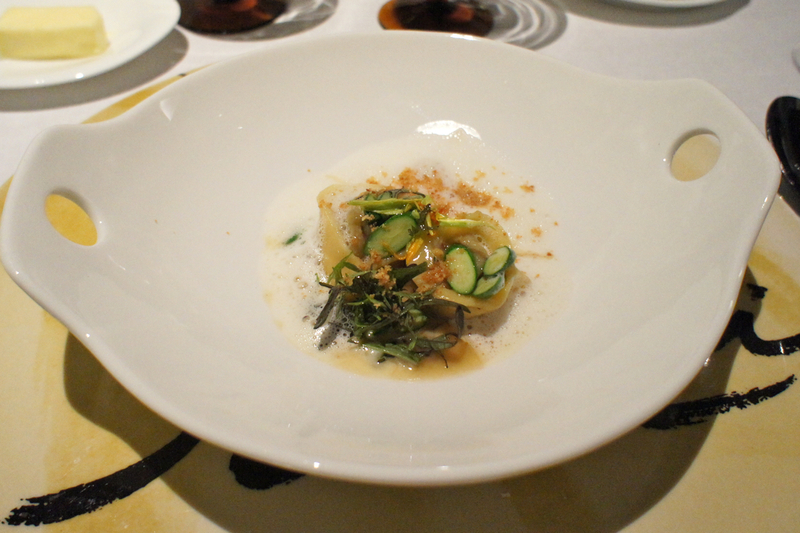 The pasta dish was the duck tortellini with baby turnips, zucchini flowers and baby carrots. Once again, this would otherwise be quite an ordinary dish if not for the brilliant pairing of the crunchy zucchini slices and the turnips. We loved it. 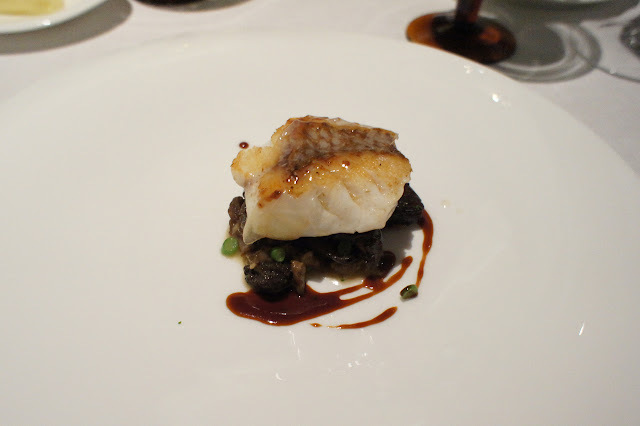 The fish main course was the snapper, seared and grilled, with morel and wood ear mushrooms and red wine sauce. The fish was nicely seared while retaining much of its juiciness and springy texture and the mushrooms (especially the morels, which I love) brought the flavour to the dish. 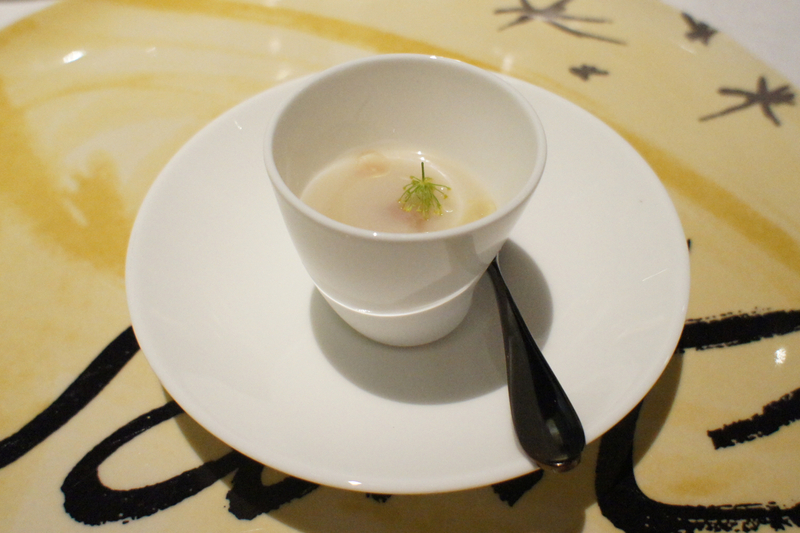 This was served together with a teacup of very rich chicken consomme (tasted a bit like Brands essence of chicken, a childhood favourite of mine), and we were supposed to take a sip of the soup after every bite of the fish. Another excellent dish. 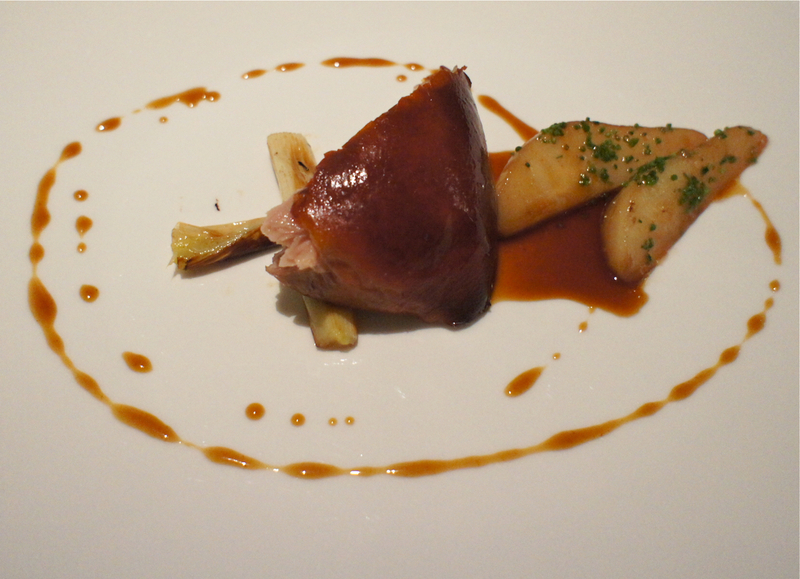 The piece de resistance would be the suckling pig with pears and roasted leeks. We had this the last time and it was once again superb. I think this time was better than the last because the sweet poached pears gave a new dimension to the flavours of the pork. 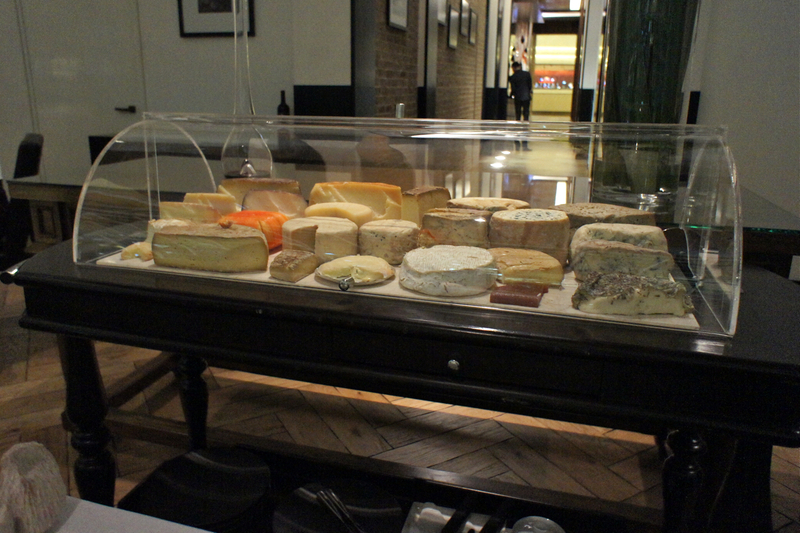 Santi's cheese trolley was impressive with its selection of classic French cheeses as well as Spanish ones as well. 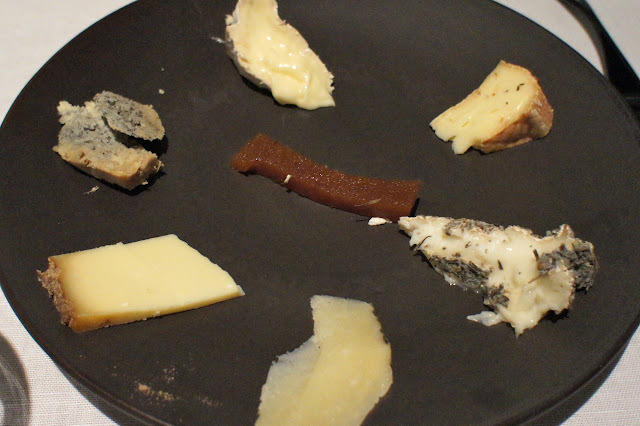 My wife had the soft and hard cheeses, while I decided to only go for my favourite blue cheeses. The cheeses went particularly well with the Siepi. 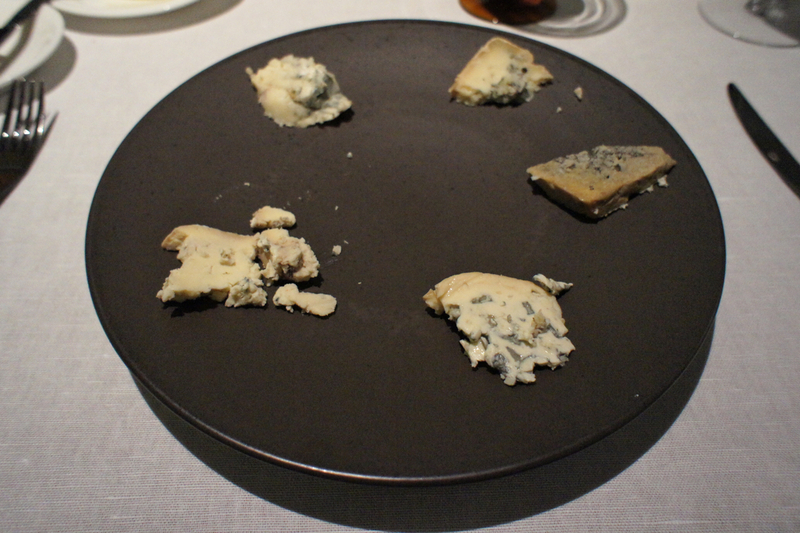 Just before dessert, we had the much-needed palate cleanser, as the strong taste of the blue cheese would have otherwise lingered in my mouth throughout dessert. 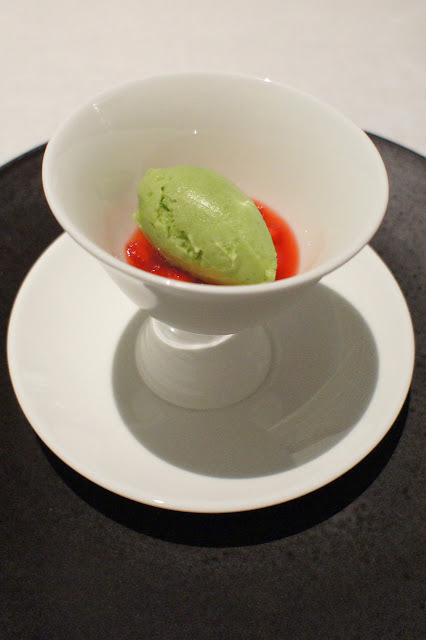 As it turned out, the basil ice-cream on a bed of strawberry puree was what the doctor ordered, as it was very refreshing. Though we had ordered the passion fruit pavlova which we had and loved the last time, Juan was kind enough to suggest that the kitchen prepare a smaller portion of the pavlova so that we could also try a different dessert. 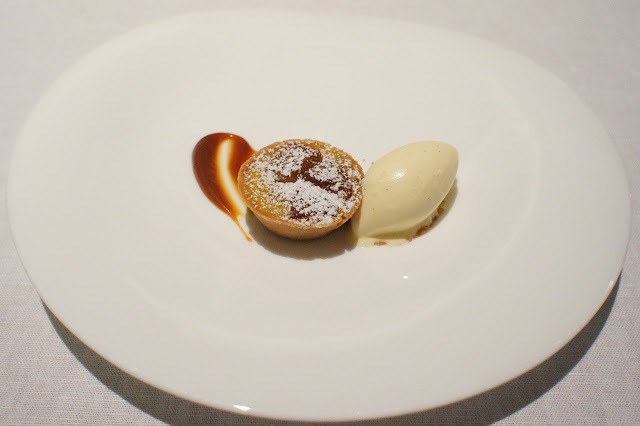 To end of the meal, we tried the other dessert as well, which was the apple tart with vanilla ice cream. Both desserts did justice to the meal. 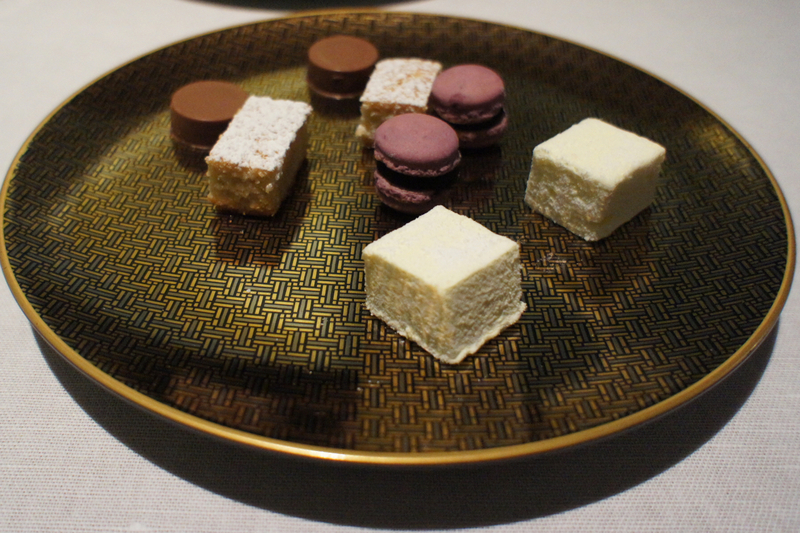 To cap it off, we were each given a small box of sugared treats to take home. It was nice touch from the excellent kitchen and service staff. We felt that the food this time was slightly better than our first visit. The first time, we felt that they were recreating their classic dishes from their Spanish restaurants, whereas this time, they seem to have mastered the use of Asian ingredients, which gave their food a new dimension. Every single dish was paired with fruit, vegetables or mushrooms which turned otherwise simple food into a culinary masterpiece. The food was cooked very traditionally with a lot of heart, despite this being a fancy high end restaurant.